As a kid up until now, I've always loved cars, so it was already pre-determined that I would purchase a pre-ordered copy of the latest Need For Speed Franchise installment, which is Need For Speed: Hot Pursuit. The latest version of Hot Pursuit is simply a "remake" of the Need For Speed Hot Pursuit sub series which had versions for the 1st and 2nd Playstation, both were great by the way. But EA's partnering up with Criterion (developer of Burnout Paradise) has added an edge over the competition when it comes to an adrenaline pumping, high-speed, intense racing game. Right off the bat, you will already notice how simple the interface of the game is, it has a very straightforward Career mode basically composed of various point-to-point races over a vast map and long stretches of road. You can blow past the whole career as either a cop or a racer and choosing either path will have no effect on anything as each side is independently progressive, plus if you feel like playing cop, you can take a break from being a racer and participate in a police event at any point your career. Being a cop or a racer offers a uniquely different experience with its own set of challenges, aside from the obvious reasons where as a cop you do what you can to stop racers and as a racer, you do what you can to finish a race without getting busted by the cops. When you start racing, you will notice very precise controls and response which is very important in a game like this where split-second decision need precise response in order to execute effectively. But aside from the dead-on controls and responsive system, NFS: Hot Pursuit is awesome because its core concept is so simple and yet so diverse. It's more than just escaping from the police as a racer and catching felons as the police, there's a certain uniqueness to each that even though you're driving on exactly the same roads, the same map, the two roles make things feel entirely different. Each location, which is linked into one big map that gives you varying scenery, from the desert countryside to snowy mountains, which are all graphically pleasing if I may add, not only do they and an element of size to the game, these locations also offer you various shortcuts and side roads that can be used to your advantage as either a cop or a racer. The game has opted not to use a currency system and has switched this out with "Bounty Points" which you earn by driving well (insane yet precise), winning races, busting bad guys, etc. which then boosts your rank as either a cop or a racer, which in turn, makes new vehicles, car classes, equipment (used for either catching or escaping from the cops which are exactly the same items except used differently depending on what role you choose.) as well as upgrades for these equipment. Another cool factor that I liked about this game is the new feature called "Autolog" system which is pretty much the heart of the game because your career progress directly affects your online gaming experience, what you unlock in the career can be used online, it also happens vice versa because the progress/bounty system is one and the same, this feature allows you to keep constant tabs on your friends' progress with regards to all the events they have accomplished, this boosts the replay value of the game because we all have competitive side right? Your friend beats yours event, you beat theirs, and it just goes on. The Autolog system tracks events in real time (you need an internet connection of course, access to PSN and the Autolog network) meaning while you're playing in the career, you could get a prompt telling you that your friend just topped your score in another event, then by simply pressing R1, you load directly into that event and try to reclaim your title. Aside from this, you can also set challenges for your friends under the event suggestions tab, for example, you finished a race under a certain time, you can suggest it and see if your friends can beat it. There's also a message board function where messages and screenshots can be shared. This is where the game truly stands out in my opinion, the online experience. 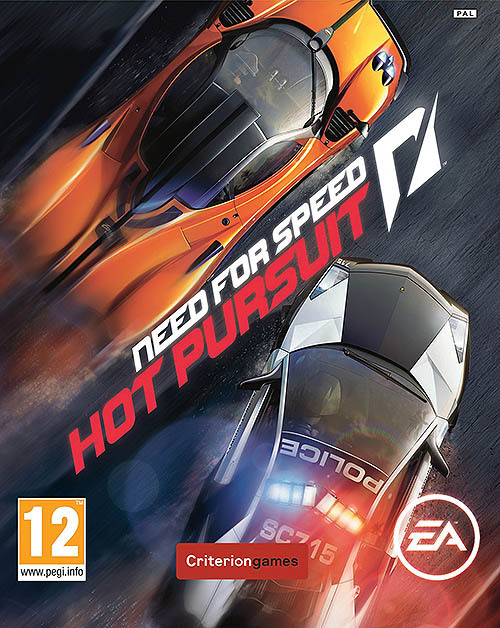 For one, I really enjoy the Hot Pursuit game mode (one of the various online modes), because it's pretty much a no holds barred cops-and-robbers/cat and mouse game that really involves a lot more strategy than most people think, bottom line is that it's a fun experience playing online. So if you love cars, you enjoy speeding, you like challenges, you like running from cops, catching bad guys, making records and breaking records, doing it in style if I might add, then Need For Speed: Hot Pursuit is a game for you! Overall: I believe this game deserves an 9/10, a very straightforward game with a very rewarding online experience, not to mention visually rewarding as well as a high replay value.